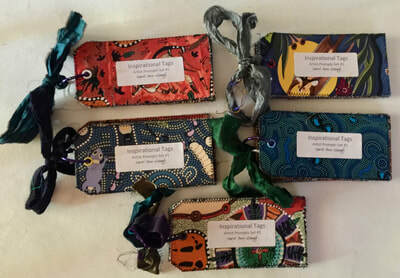 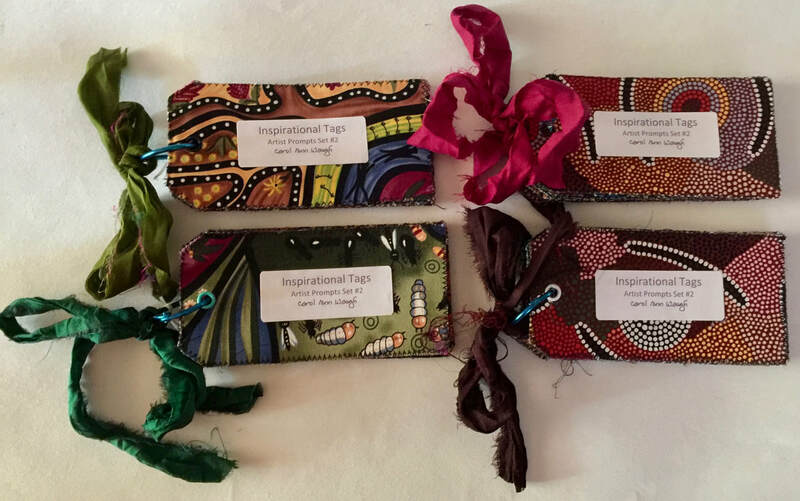 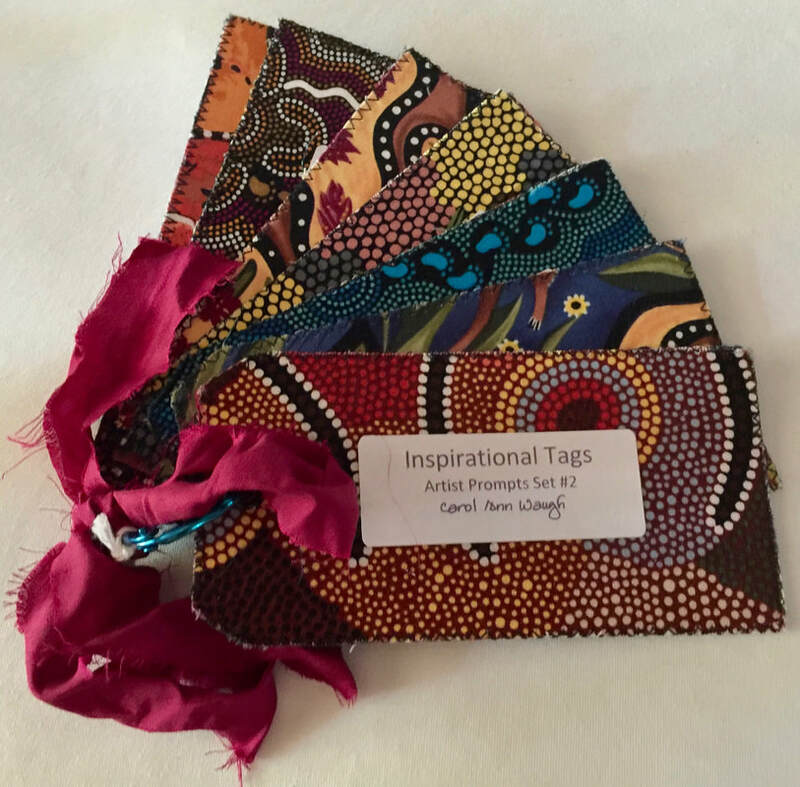 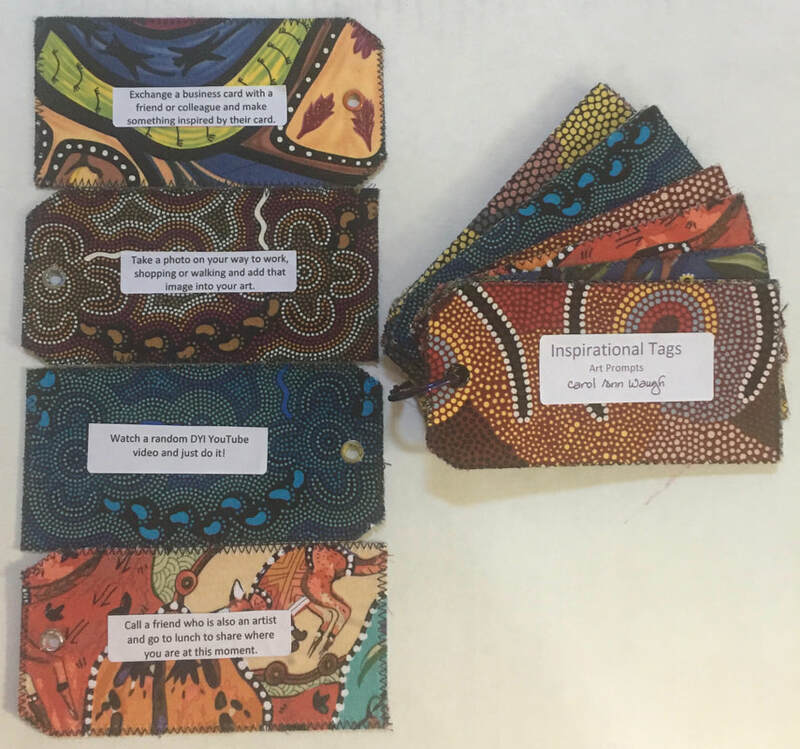 These tags are made from fabric or printed using a Gel Plate. 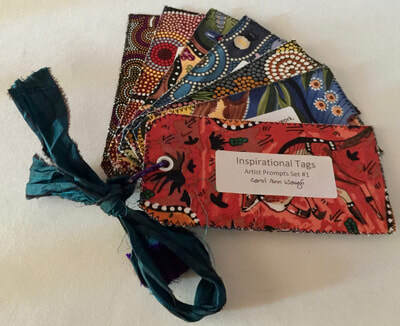 Each set contains 12 different prompts for artists to use for inspiration. Great for yourself or as a gift for a friend.